Home News	Another one for Benz! Another Formula 1 season is behind us but it seemed like we were still in 2014. Looking at the final standings nothing seems to really have changed with Hamilton at the top of the chart followed by Rosberg a close second. Mercedes has once more confirmed its supremacy by dominating most of the season, but the final result doesn’t give the full picture of what happened in 2015 as there were some significant differences with the previous year. First of all Ferrari was able to step up as (almost) a contender by filling the gaps Mercedes conceded a little more frequently than in 2014. The Scuderia was the only team that could make the Germans worry, clinching three victories, but coming up short of a serious push for the title. I’m sure many would agree that the most demoralizing aspect of the Championship was the gap between the runner-up and the rest of the pack. Take the last race at Abu Dhabi for example: a part from the Ferraris all the others were seconds behind the silver stars! The allocation of strength is so unbalanced now that the result is a really poor spectacle. A clear message to Mr. Ecclestone and all the other key players in Formula One is to quickly address this aspect of the sport. Something must be done with the new rules so that, for every top team’s small mistake there should be plenty of other contenders able to have a shot at the big prize. On the positive side I want to give credit to the performances of some F1 drivers. 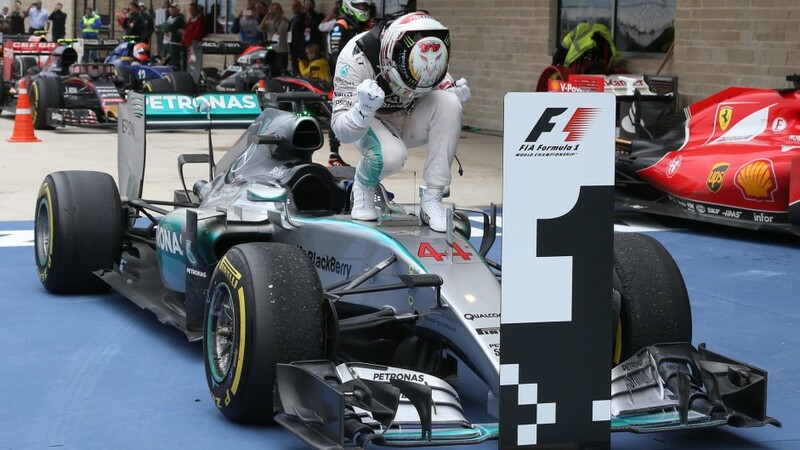 Full honors go to Lewis Hamilton who certainly deserved his third title, with superb driving all year long. Vettel was the main reason for Ferrari’s good performance, perfectly understanding his role in the Scuderia bringing enthusiasm at Maranello and a lot more points than his teammate with 13 podium finishes of which three on the top step. He will be the success key for Ferrari in the upcoming years as the team will push to be more competitive. Youngsters were under the spotlight several times with the Toro Rosso duo of Verstappen and Sainz capable of putting on a yearlong battle and still finishing in front of many others: bravi! Best money-for-value prize goes to Force India, able to finish fifth in the championship with both drivers, Perez and Hulkemberg, bothering the top of the pack in several occasions. A week end of fire..